3 Beds 2 Baths 1,857 Sq. ft. 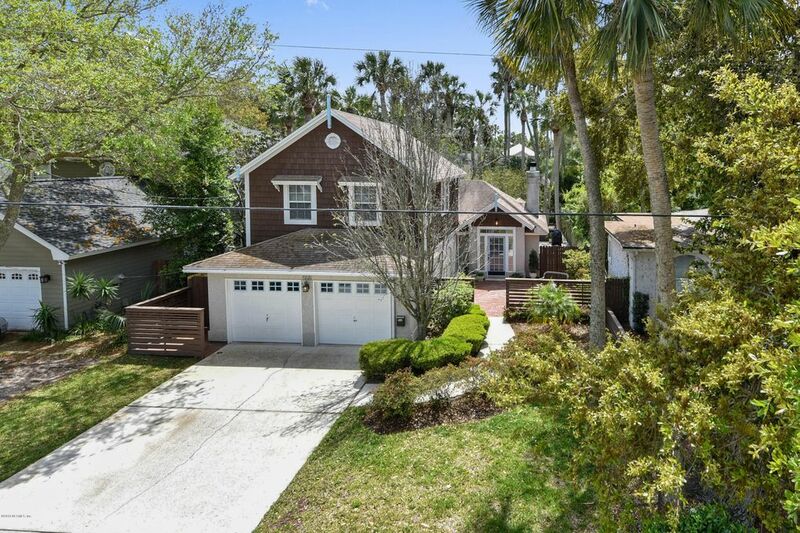 Totally charming beach home in the ''sweet spot'' of Atlantic Beach. 2 blocks to the ocean and 7 blocks to town center. Well cared for and in immaculate condition. Private pavered front courtyard opens to great room with tile floor, fireplace flanked by built-ins, built-in bookcase and corner window seat. Kitchen with granite and newer stainless-steel appliances, gas cooktop. 2 bedrooms and full bath down. Dining area with French doors to porch and overlooking large fenced backyard with patio, hot tub and shed. Private, upstairs master suite with renovated bath, window seat and big walk-in shower.